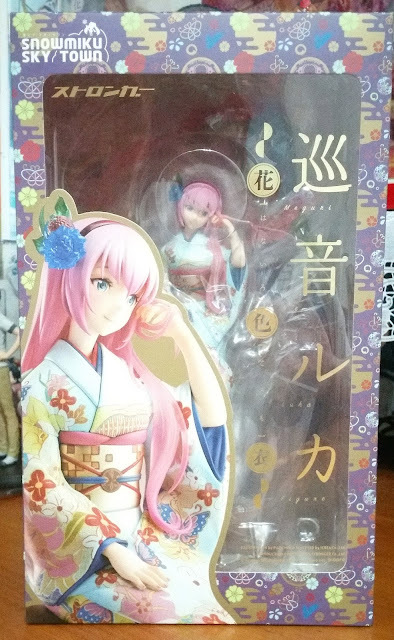 Another addition to the line of Hanairogoromo figures, this time, Megurine Luka! She was released in December but it took me quite some time before I actually managed to get this review out. 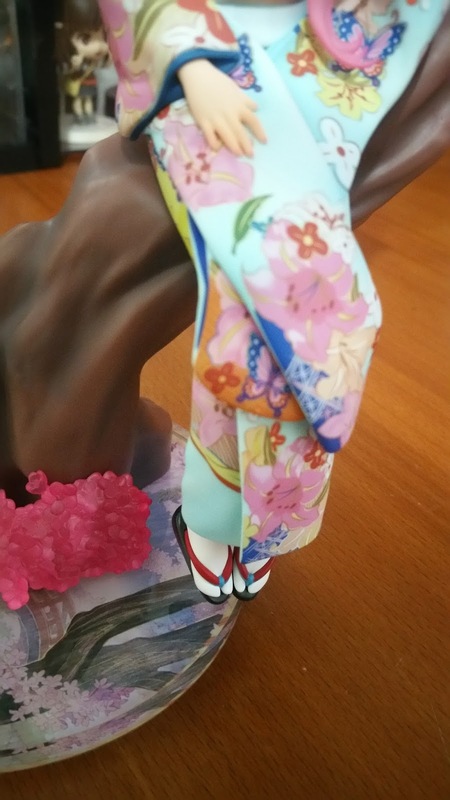 In May this year, Kagamine Rin and Len's Hanairogoromo figures would be released (if there's no delay) and this would complete the entire line! But before we get too excited over this, let's appraise this beauty! 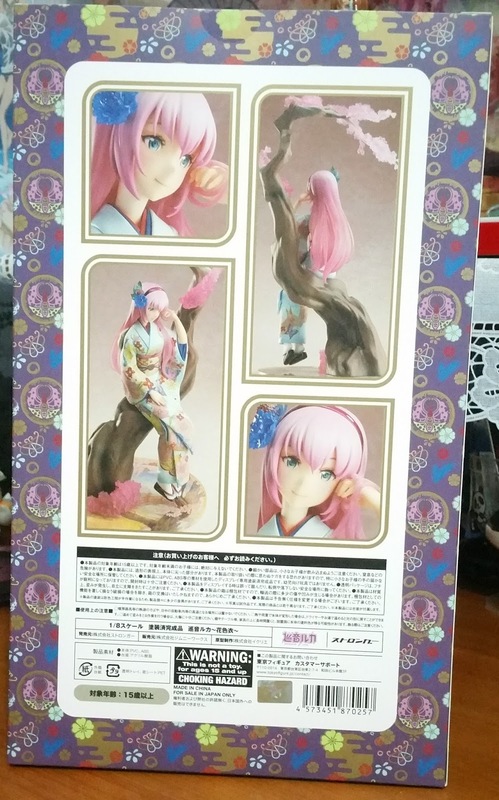 As with the other figures of this series, she comes in a very pretty box, decorated with flowers of many colors. The different sides of the box also shows all the different views of the figure as well and it really helps if you can't decide on which angle to display her at. 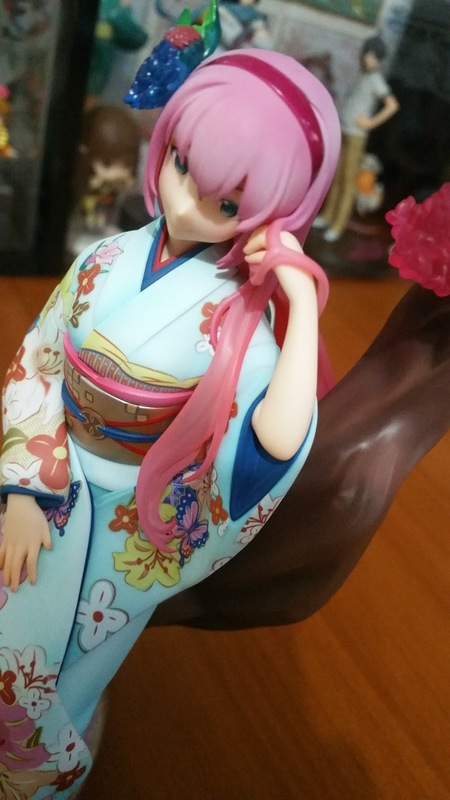 Her blister is very compact and well held together. 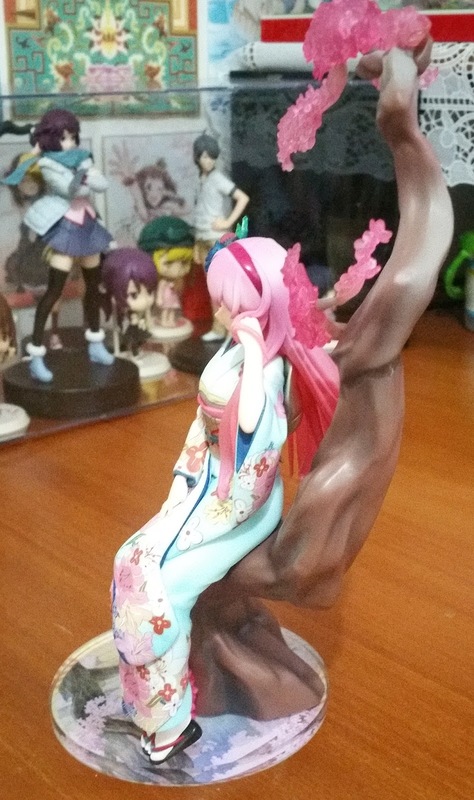 She comes with the main figure, a round base as well as a large sakura tree branch which she is seated on. 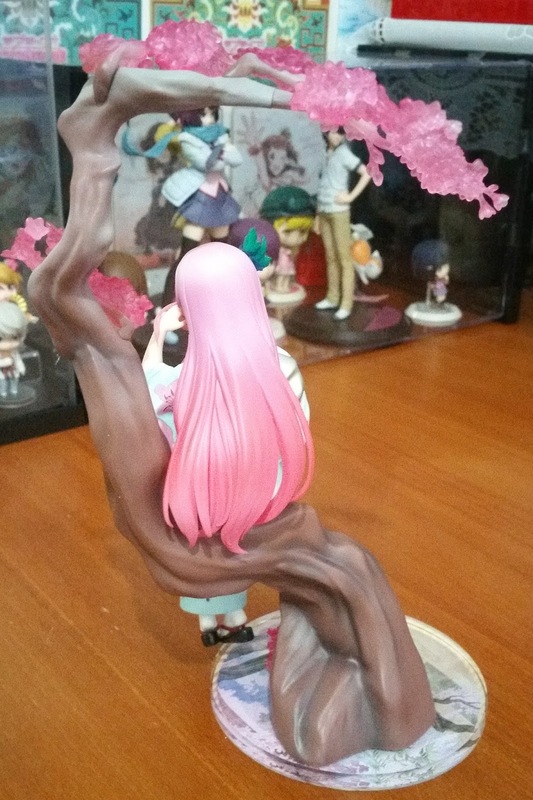 Here you see that the tree has a lot of deep grooves which are painted in a darker brown to create the depth. 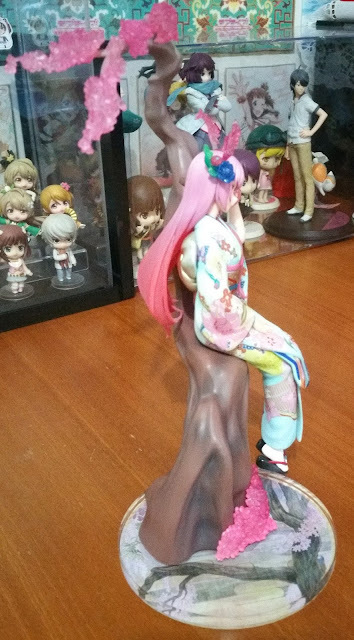 There is also a flat area which Luka is supposed to be seated on. 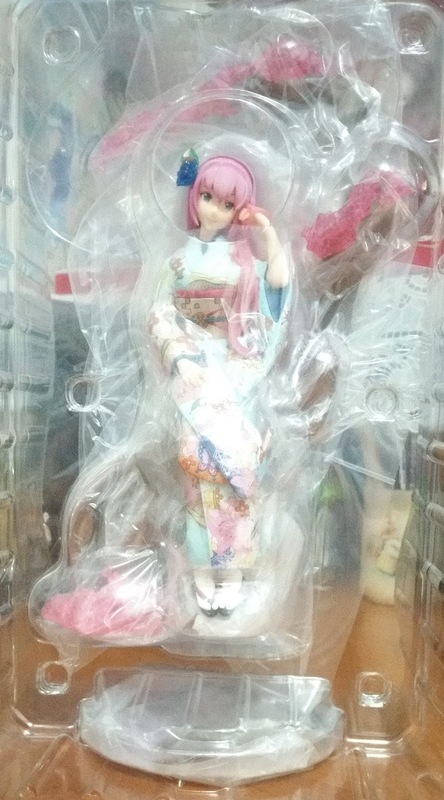 This area is magnetic, which helps as it means Luka will not fall off easily when you move her around. 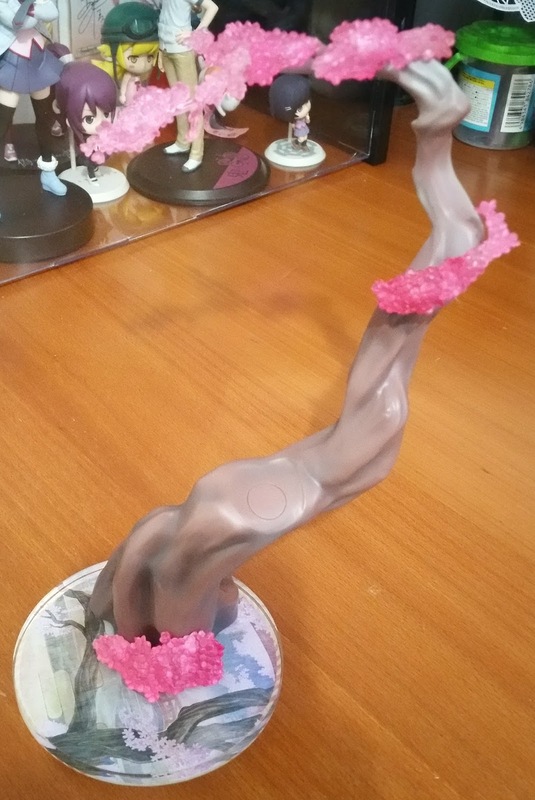 However the strength of the magnet might weaken over time so do always exercise caution. The sakura petals do come with a gradient, going from a darker pink to a lighter, more translucent pink at the ends. 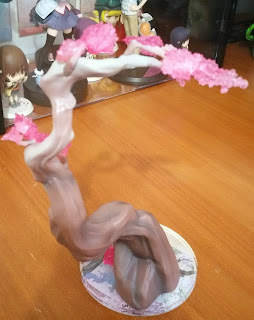 This is a similar technique that's seen with Meiko's Hanairogoromo figure as well. That same gradient is used on the tree branch, going from a darker brown at the base to a lighter brown at the tips. 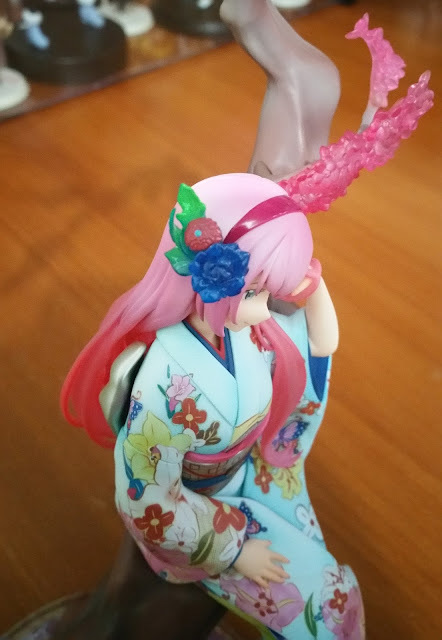 The hanairogoromo which Luka has on is vibrant in colors and the cool blue tones to her outfit really bring out the pinkness of her hair that sweeps across both the front and back of her kimono. The differences in shades of her hair, hairband and sakura petals really adds a form of dimension of the figure as well! 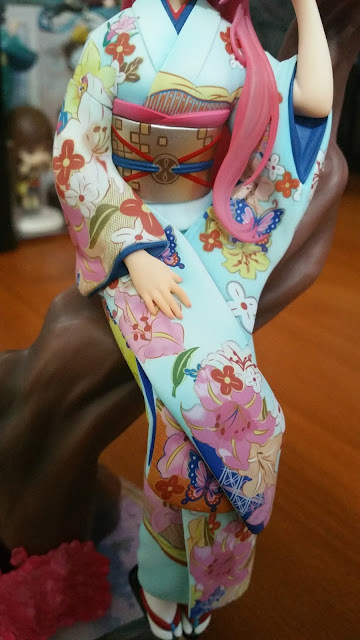 The hair ornament uses blues and greens to set it apart from the rest of the hair as well as to tie it in with the colors used on her outfit. 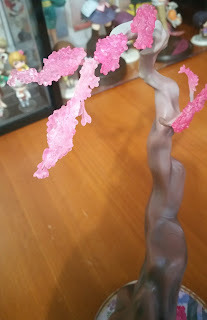 The sculpting here is quite intricate but I do feel that the finish on it doesn't make the ornament piece look realistic and elegant, but instead it simply looks like an additional sculpted plastic piece. The paintwork could have been better. The next couple of photos show her outfit from different views. 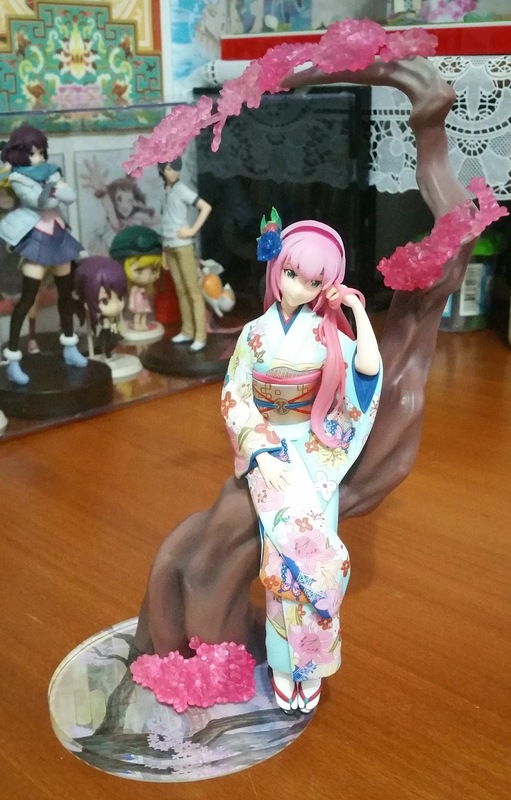 I don't really have much to say since I think the pictures speak for themselves. 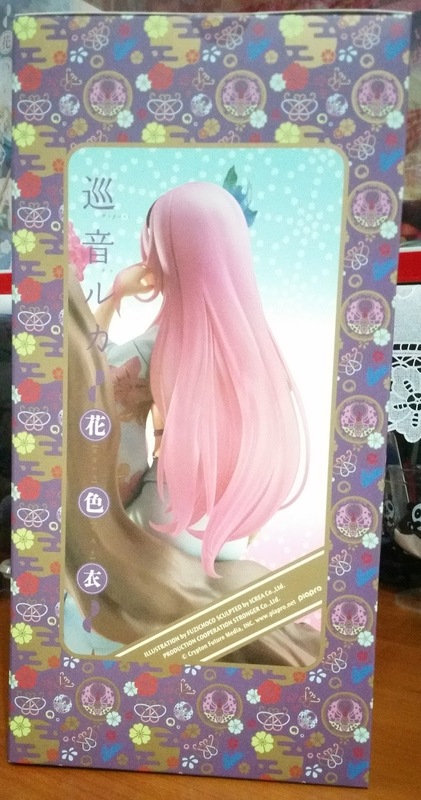 The pattern are intricate and the pastel colors really help to keep the feel of the figure soft and gentle. One thing to note though is that her sleeves do not go all the way in (dark blue part on her raised arm) and for an exclusive figure at her price, I felt like Stronger should have taken the extra effort. 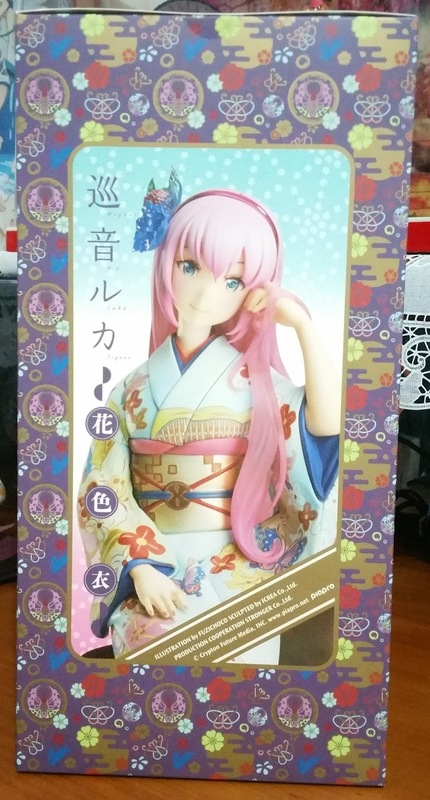 All in all, I do enjoy this figure and I'll say she is one of the better ones in the Hanairogoromo so far (Rin and Len are not released yet)! 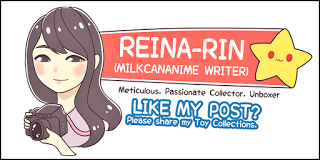 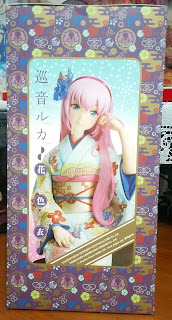 No Comment to " Figure Unboxing and Review: Hanairogoromo Megurine Luka Exclusive (Stronger) "